Durrants Holiday Cottages01502 723292work Holiday Letting AgencySouthwold is the perfect base for a traditional holiday on the Suffolk Coast. Fish and chips, walks on the pier, brightly coloured beach huts – experience traditional British seaside at its very best with Durrants. Durrants feature more than 60 holiday properties in Southwold and the surrounding villages, ranging from traditional seaside cottages and Victorian townhouses, through to modern luxury apartments. Courtyard gardens, sea views, beach access – you can find it all with Durrants. 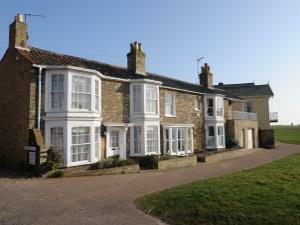 “A lovely home with character in an ideal spot in Southwold” – Mrs Bremen. Perfect for families, lots of our properties sleep 4+ and provide essentials like cot hire. Ideal accommodation for couples looking for a mid-week break or romantic weekend away, perfect to cuddle up and get cosy in front of the fire. You can also book beach huts online with Durrants, the perfect base for traditional fun by the sea on Southwold’s Blue Flag award-winning beach. Don’t leave your four legged friends at home! Dogs are welcome in a number of our properties, just use the search function on our website or call us for advice. Our friendly staff have a wide knowledge of all our properties and happy to give advice to find the optimum accommodation for your holiday needs. “Really cheerful advice from staff at all times” - Mrs Scott.